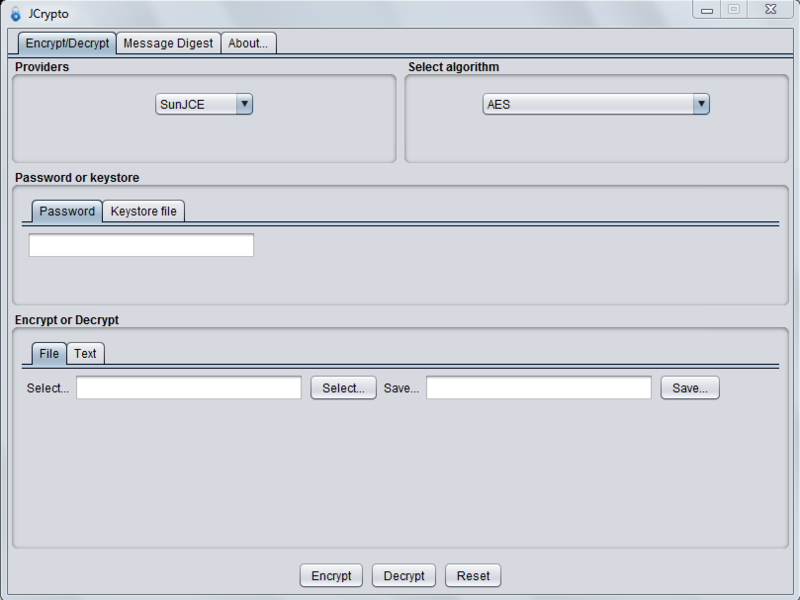 Create a simple GUI application to provide a tool to digest and crypt/decrypt plain text messages. Create a sample project on the use of different digesting and crypting/decrypting methods implemented in Java using the standard JCA APIs. So basically that it is. 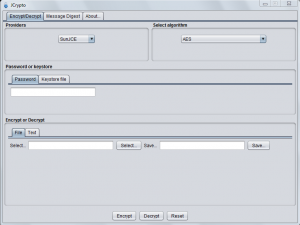 It can be used to digest or crypt/decrypt text messages using different algorithm providers (JDK out-of-the-box providers and BouncyCastle providers). You can learn more about the project on this entry posted on my ICT blog. Yo can also find the full project on github following this link.